appalachian mountain brewery put on another amazing event at daniel boone park. 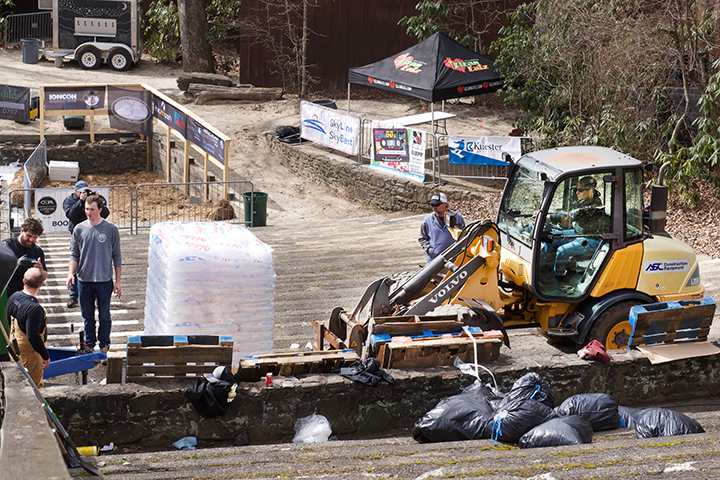 AMB’s charity “WE can so you can” helps make upgrades to horn in the west’s daniel boone amphitheater. thanks appalachian mountain brewery! The ramp base in the amphitheater. 18 tons of ice were trucked in to make the ramp snow. Mellow Mushroom created a magical display. 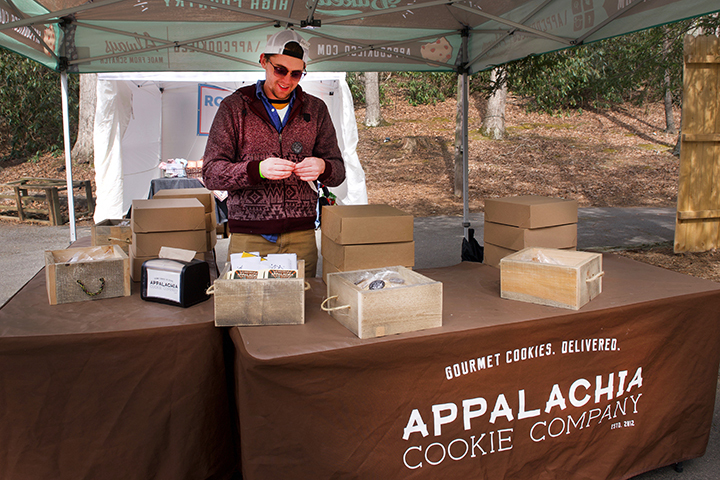 The amazing Appalachia Cookie Company was in the house! 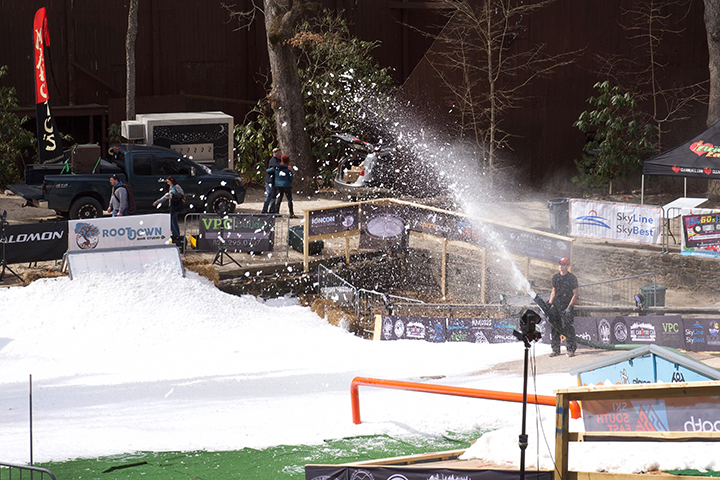 Rail Jam Event Coordinator and Horn in the West’s Choreographer, Shauna Godwin. These guys were great at tossing the ice bags to each other to be ground up. 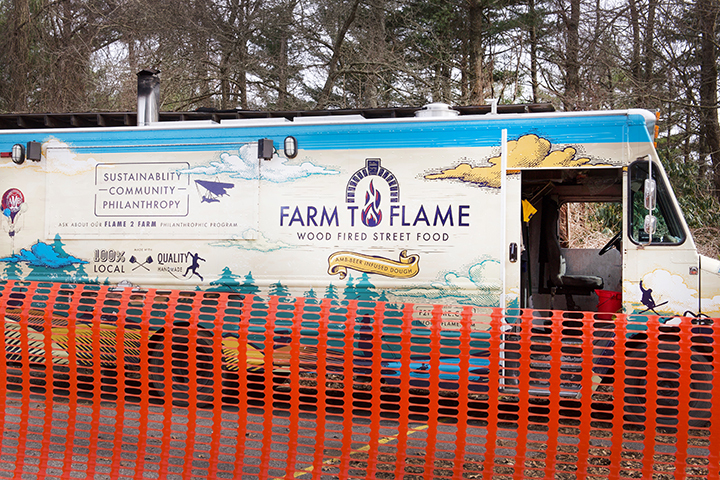 Farm to Flame innovative food truck. Here is a shot of the exciting competition! SAHA Executive Director, Carson Sailor, working the concession stand. Ice being turned into snow and blown onto the ramp. 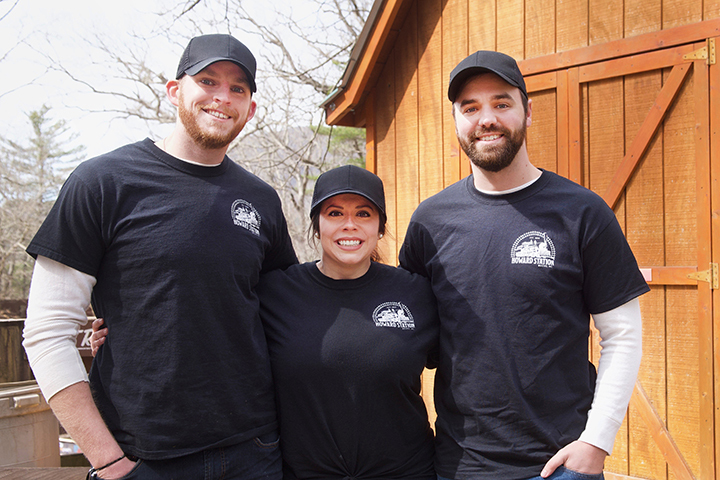 Exciting news for BBQ lovers: Howard Station BBQ and Bar coming to Boone in April. Owners Andy, Chelsea, and Cody.